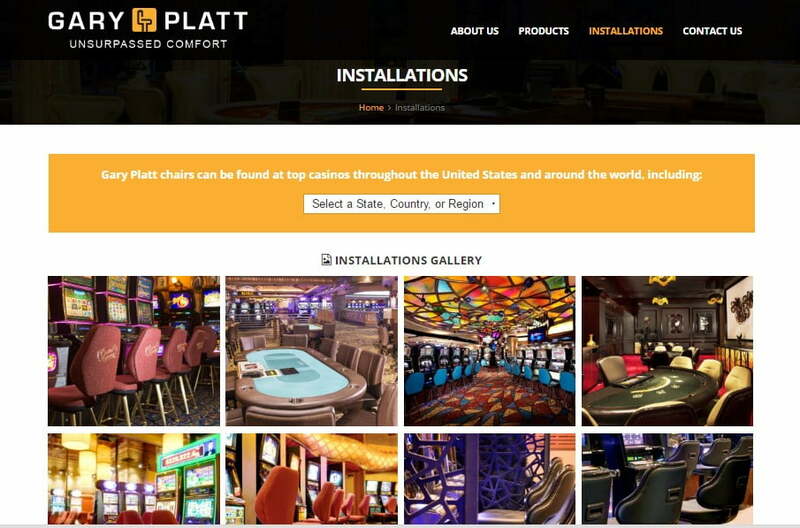 Gary Platt Manufacturing produces high quality, comfortable seating exclusively for casinos across the U.S. and Canada. The client is an established leader in performance seating and has introduced state of the art ergonomics and comfort to the casino industry. Gary Platt Manufacturings’ existing site was outdated and required a complete revamp. The old website did not offer enough configuration options for the chairs they sell and client needed a professional web design company to rebuild the site to include new interactive features to select the seat style, back options, base options etc. Gary Platt Manufacturing also wanted the new website to be responsive so that it renders well on all types of mobile devices. To revamp the existing website. Provide better features and configuration options for the chairs. Include interactive features for customers to select the seat style and back options. A responsive web design that displays well on all devices. Enable customers to virtually build a custom chair and save as PDF. Create an overall new and refreshing look for the website. After reviewing the requirement for a revamp of the website to include new features and to make it mobile friendly, the Pulse Team selected WordPress as a platform to design the new site. This Content Management System (CMS) had all the required features to create a website that matched the client’s requirements. A user friendly, attractive website built with a modern design using technology platforms such as WordPress, JQuery, HTML5, Responsive web design. Being CMS driven, this WordPress site offered the client with an easy to use admin interface to add new products or categories as and when required. 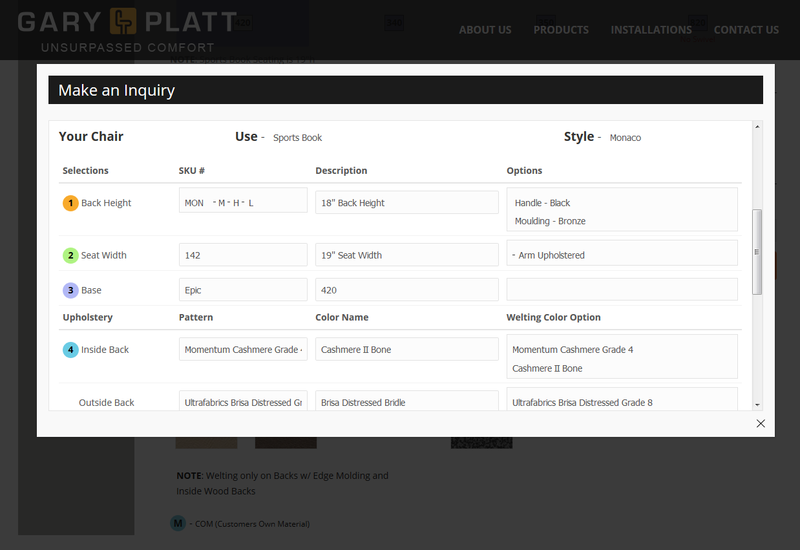 New features such as the ability to ‘build a custom chair’ by choosing a back style, seat style, back options, seating options or base options etc. were included. A customer could save the ‘custom built chair’ as a PDF and call the client for inquiry. A customer could also locate reps for his location via the newly designed contact page. The website was made responsive to render well on all screen sizes. The new website with all the requested features was completed within 4 months. Since the website was CMS driven, the client could make changes to existing products, add new products or add new categories without too much technical help. Client saw a notable increase in sales leads and the sales team could easily contact the chair builder. If you are looking for developing a new website, or for web maintenance services to increase your daily visitors and attract them with a slew of modern, user-friendly features, we develop sites that achieve that and more! Contact us for more information.